Thank you again for your patience as I know we are behind our original estimated delivery date. Rest assured, I am just as excited as you are to finish the comic and get it into your (and my) hands! The colors and letters are still being worked on and I am ensuring that utmost quality control is being exercised based on the great feedback I received on Origins I. I do not want to give you anything that you would not feel good showing off on a display case or to your friends! As always, I seek to continue pushing forward the quality on the comic production, and hope to continue that tradition with Origins II. On that note, I have another sneak peek for you, this time, a sneak peek of artwork for the card game prototype! This comic campaign has many goodies coming along with it, so there will be quite a few things to unpack when you receive your perks! Looking forward to sharing the next update with you revealing a color sneak peek. Enjoy this sneak peek No. 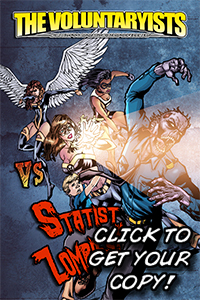 4 from our latest title in production: Voluntaryist Origins! 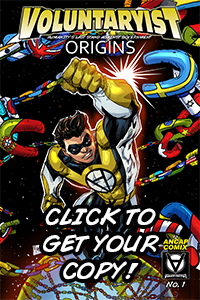 The Voluntaryist Origins story comic campaign is now live on Indiegogo.com! 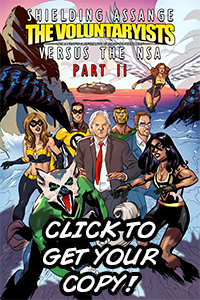 We need your help especially for this campaign as this graphic novel will set the background for the future production of the Voluntaryist animated film. 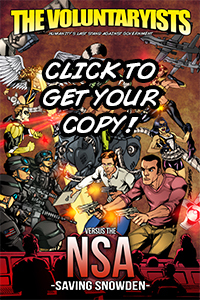 Please share the campaign link on your social media pages and let others know about the comic project. 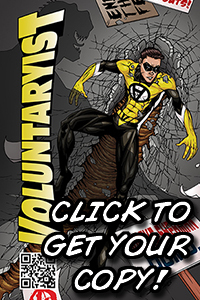 We are super excited to bring you this canon work and to continue our mission of bringing Voluntaryist principles to the comic world!